Befriending project Neighbourhood Angels needs more volunteers | Joining In! A befriending scheme that helps older people and vulnerable adults who are isolated or lonely in Guildford is in need of more volunteers to help with the demand it is receiving. Can you spend some time befriending others? 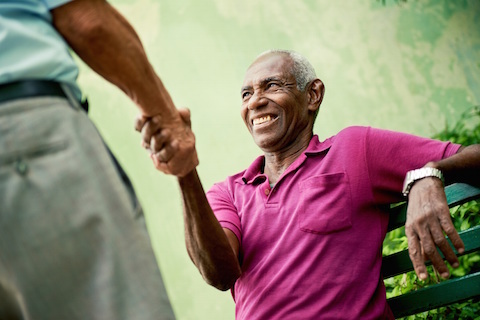 Neighbourhood Angels is appealing for more people who would like to help by spending some time befriending others – simply by visiting them and chatting to them, or helping them to go out and do some shopping, or go with them to a local day centre. No specialist skills or experience are required to become a Neighbourhood Angel, just compassion and availability to give a few hours a week or a fortnight, on a flexible basis. Care Angels leader Rachel Guilford (right) is looking for people to can help out as volunteers, giving people in need a well-needed boost. Picture by Eric Marsh. The needs of those referred to Neighbourhood Angels varies. It matches up volunteers and their life skills to those who need help. A match may be arranged if the person in need has a specific interest, or it could be of a similar age, and so on. Needs and circumstances of those who have been helped include: bereavement, visual impairment, carers, aphasia (word-finding difficulties), depression, anxiety, low self-esteem, MS, and poor mobility. Following a recent bereavement, one lady being visited said she would describe her experience as ‘desolate’, rather than lonely. The project aims to encourage individuals to build meaningful activities and relationships into their lives. As a result of support from a ‘neighbourhood angel’, some people have started going to day centres, U3A groups, a job forum and local walks. It has also linked people with meals on wheels, adult social care, the MS Society and Sight for Surrey, for more specific support. No specialist skills or experience are required to become a Neighbourhood Angel. 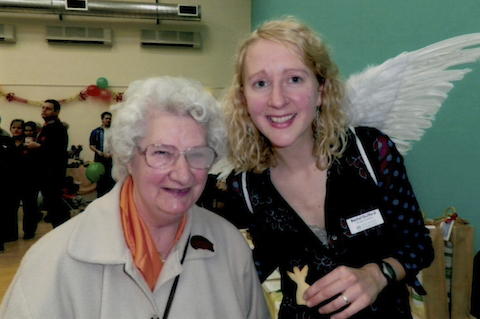 Volunteers who become Neighbourhood Angels will receive guidance on listening skills, training on safeguarding and advice on helping people reconnect with their communities. Neighbourhood Angels is being facilitated by the Diocese of Guildford’s Community Engagement Team and is funded by Guildford Borough Council.